BladeRunnerS Systems (or -=BRS=-) is a company founded by balisong manipulators and knife/gear enthusiasts. Their mission is to produce high performance balisongs and gear with a design philosophy centered around performance, precision and quality. "For us it has to be right and has to flip right, we are performance grade, competition ready, battle tested... and looking forward to earning your business." 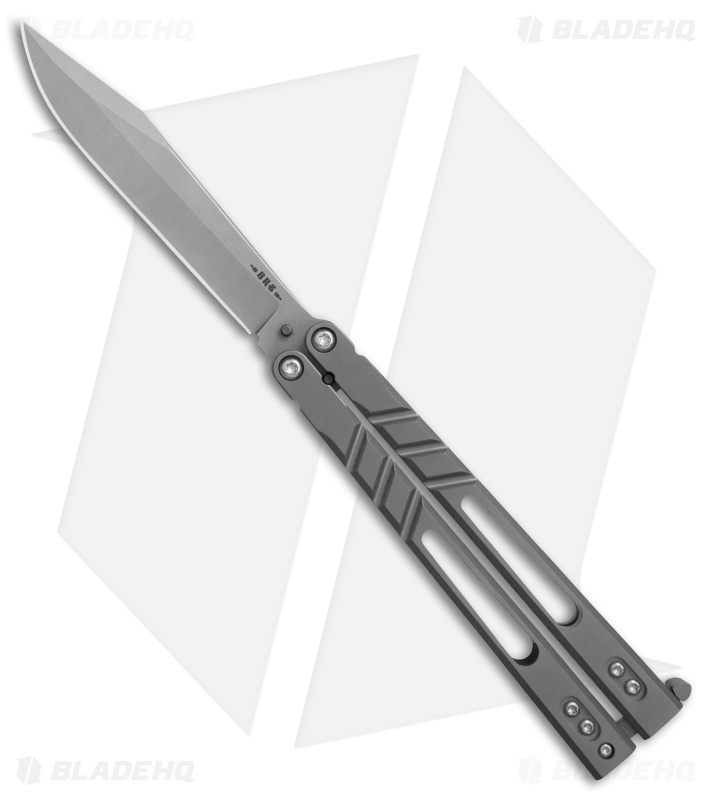 The Alpha Beast is not only the flagship model for BRS, but possibly the front runner for the balisong flipper community. Designed by and for flippers, the BRS AB prides itself on breaking the accepted design cues of previous knives while fixating on weight, balance and tactility. 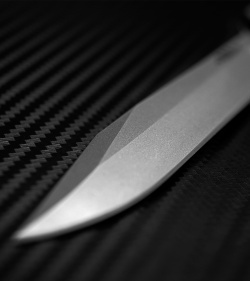 All this, combined with premium materials, supplies a knife that is long overdue. Right out of the box this balisong feels right, flips right. Just like they said. It's worth every penny. It looks great too. Only takes a few minutes of handling appreciate the thoughtful design. It is made to flip. And it does very well. Even better than the Standard AB3, if possible. BRS continues to improve their overall knife lineup, their balisongs, and their Alpha Beast model. Immediately after taking this out of the box, I noticed it was a bit lighter than my other AB3. I did a quick Twirl with it and decided on the spot to sell my standard AB3 and keep this one. Now, the hardest decision will be whether to keep the clip and latch on this one and EDC it, or take them off to make it even more balanced. 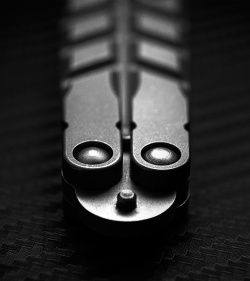 Moving the latch or clip to the safe handle might be a nice compromise. Or I'll just buy another AltB3. 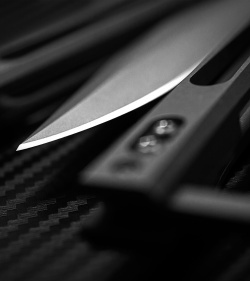 The spacers are slightly smaller to rebalance the knife, as the AltB3 has a slightly lighter blade, as well as the additional weight of the pocket clip. Even with the clip on though, the knife is still .16oz lighter than the Standard AB3. 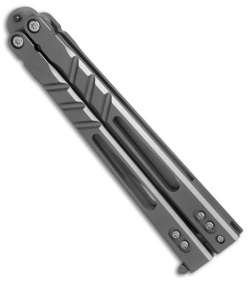 If you don't own a BRS yet, find one. What an amazing piece of craftsmanship this bali is. To keep this from being a book here is a list of pros and cons off the top of my head. Cons are me critiquing as severely as I can, but it's not much. Balance is perfect, no horns poking you, indexing chevrons, latch that won't prevent handle closure, sharpest out of box blade and large relief edge driving that sharpness. Titanium is superb, low profile clip for easy carry without hindering flipping too much, giant pivots for butter smooth motion. 1.Very tip of pocket clip could have more of an upward bend to make getting into a pocket easier, but the construction and tightness is perfect. Tiny thing, and just my opinion. 2. While locked open if you choke back far on the handle for extra reach, the points on the side tips of the latch are sharp and dig into your hand. I'd like to see future models smoothed out a little. Everything is literally perfect besides my little nitpicks. Buy this and you won't regret it. Worth every penny, and I'd pay even more if I had to. Bravo BRS. Doing some custom ano work on these. 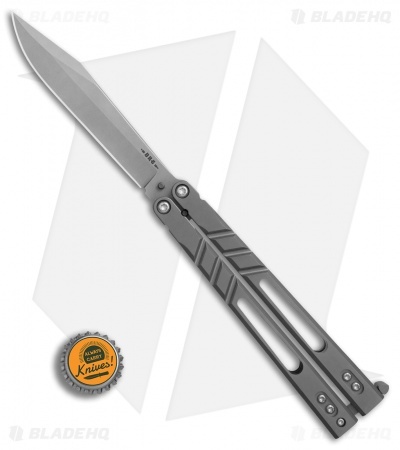 If you have never had an Alpha Beast and you flip you MUST get one. Alt blade is a nice change as well.